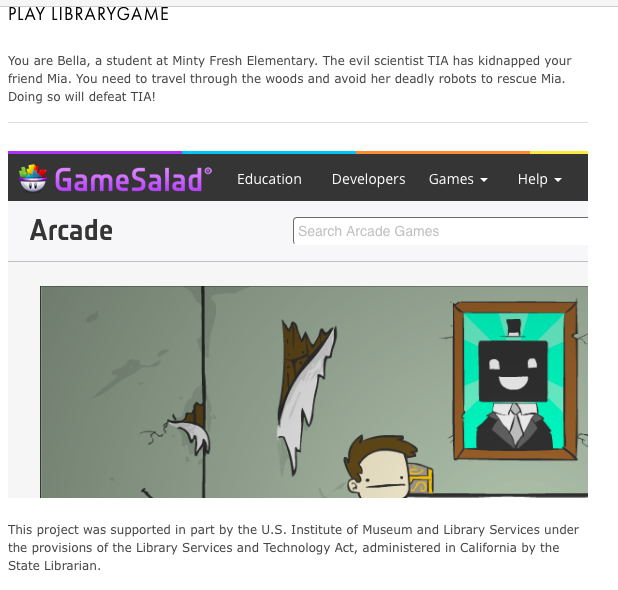 Great article about elementary students developing a game at their local library — Welcome to the GameSalad forum! It's super cool to see a library opening new doors for students. They even published the game to the Arcade and embedded it in the article! Awesome stuff! Wish I had a program to teach games and software like GS when I was in 5th grade. That's great! Glad to see GameSalad doing well in the middle school arena. It's great to see the GS vision coming to fruition. Congratulations. Thats nice! Tough you cant find the name game salad in this article! Get sure to get your name in there and make some money please!